If you would like to receive regular email updates about upcoming events, please click here. 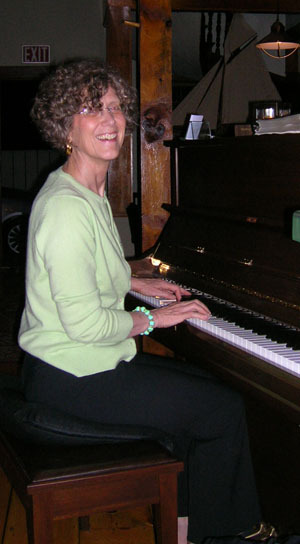 The Lois Vaughan Jazz Quartet plays for monthly Sunday brunch dates at the Fifth. Great for families. A casual relaxing place to listen to some jazz and have a wonderful meal! Lois on keys, Ben Coerper on string bass, Art Manchester on sax/flute/clarinet, and Randy Cloutier on drums. 111 Broadway, Newport, RI. www.thefifthri.com 401.619.2552. The Lois Vaughan Jazz Quartet will play the opening set for the Providence Federation of Musicians Cavalcade of Bands at Rhodes-on-Pawtuxet. A great evening of live music for dancing and listening! 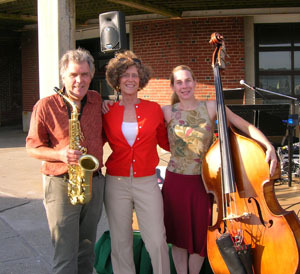 Dennis Pratt on string bass and vocals, Randy Cloutier on drums, Art Manchester on sax/flute/clarinet, and Lois on keys. More info and ticket purchases at Providence Federation of Musicians: (401) 780-6887.